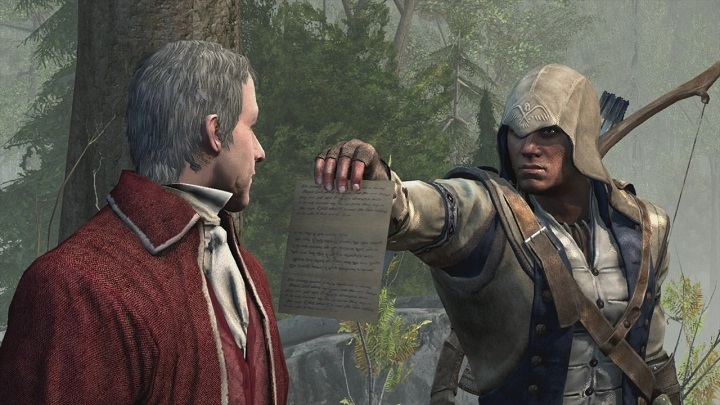 The Assassin’s Creed series has covered some of the most important periods in history to date, and the American Revolution is no exception. And even if some thought that Assassin’s Creed III (which was set during the epic conflict between Britain and the American colonies) was a bit dull, Ubisoft will be putting out a remaster of the game next year. This will allow people to replay (or play through the first time) this colonial era Assassin’s Creed in which you play as a native American named Connor, who sides with the colonists in their battle against the Redcoats. And you can definitely expect Assassin’s Creed III Remastered to look quite a bit better than the original release for Xbox 360 and PS3, which is frankly looking a bit long in the tooth these days. Most important of all, this remaster will support 4K resolution on PC, Xbox One X and PS4 Pro, while the Xbox One and PS4 versions will run at 1080p as Ubisoft explains on its website, meaning Connor’s adventures on the frontier should look quite a bit better in this new version of the game. Also interesting is the fact that crowd density has been improved, meaning you’ll see more people wandering the streets of colonial era New York for instance, although it’s unlikely they’ll be as many NPCs milling around as in 2014’s Assassin’s Creed Unity, but this is still a welcome feature. Other improvements in textures (these will be higher resolution), character models and lighting amongst others should make the Assassin’s Creed III remaster a treat for the eyes, although I wish Ubisoft had taken the opportunity to add new missions or perhaps even livened up protagonist Connor, who sadly isn’t the most charismatic lead in the Assassin’s Creed games to date. At least this remaster includes all the DLC released for the game (including the Tyranny of King Washington expansion), so it should definitely keep those who decide to get it busy for a while. Assassin’s Creed Remastered can be bought together with Assassin’s Creed Odyssey’s season pass (it releases in March 2019), but it will also be available standalone too.